Join us for the new Big Brothers Big Sisters Book Club. This is open to any active match through Big Brothers Big Sisters as well as any adult/child pair from the community. Recommended for children aged 10 and over. We will meet in the Readings Gallery the last Saturday of the month from 2-3 pm, beginning Saturday, February 25th. This book club is intended to be a supportive place for adults and kids to engage in stimulating conversation about books. Everyone has an equal voice here. If you know a child who needs a nudge to enjoy reading or is chomping at the bit to share his or her excitement about the book just finished, this is the group for you. The group will vote on book selections taken from a list of books for youth recommended by Village Books staff. There is no commitment; come when the book appeals to you. Authors do not attend. Sat, Jul 28, 2pm The Westing Game by Ellen Raskin This highly inventive mystery involves sixteen people who are invited to the reading of Samuel W. Westing's will. They could become millionaires-it all depends on how they play the tricky and dangerous Westing Game, a game involving blizzards, burglaries, and bombings! Rita Williams-Garcia, One Crazy Summer. ; Ellen Raskin, The Westing Game. Ellen Raskin is currently considered a "single author." If one or more works are by a distinct, homonymous authors, go ahead and split the author. 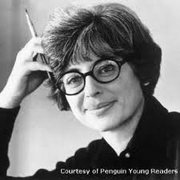 Ellen Raskin is composed of 3 names. You can examine and separate out names.